P1000128, originally uploaded by wombhog. 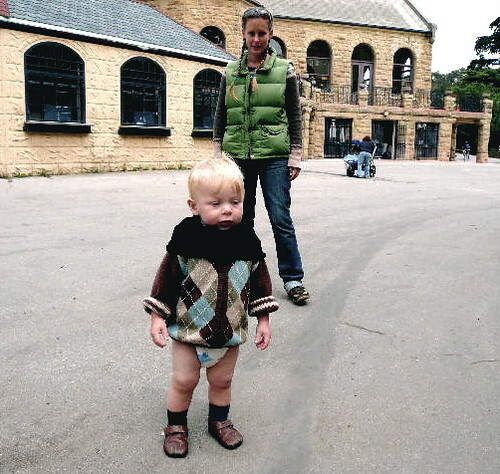 at the new Koret Playground in Golden Gate Park....He had totally wet his pants playing in the 'stream ' and it was very cold with them on ( I think at least) so Jess lent him her scarf. He is rocking that look. Maybe he belongs on the the sartoralist. Hmm..Think he would publish it? That look is totally in Jake sports it all the time! I love how saturated in color this pic looks. P.S. Come to the Aloha Festival with me on Sunday! !